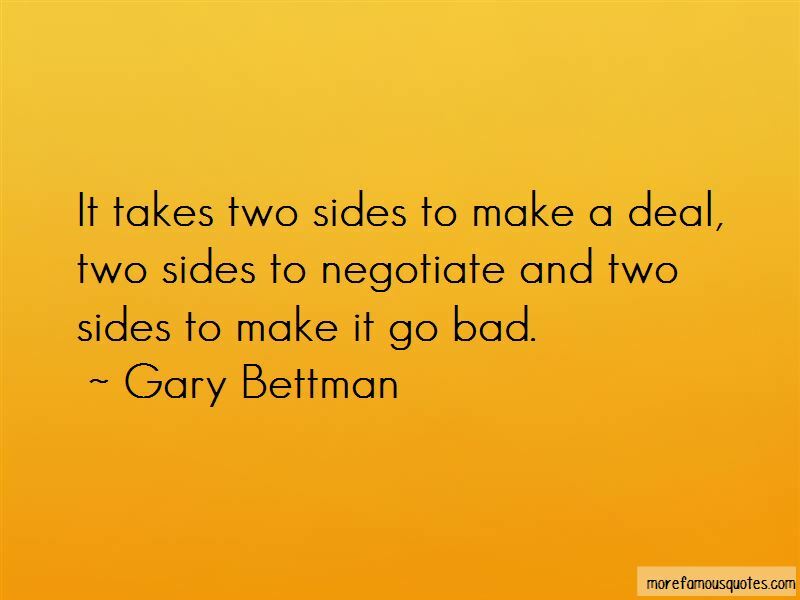 Enjoy the top 9 famous quotes, sayings and quotations by Gary Bettman. 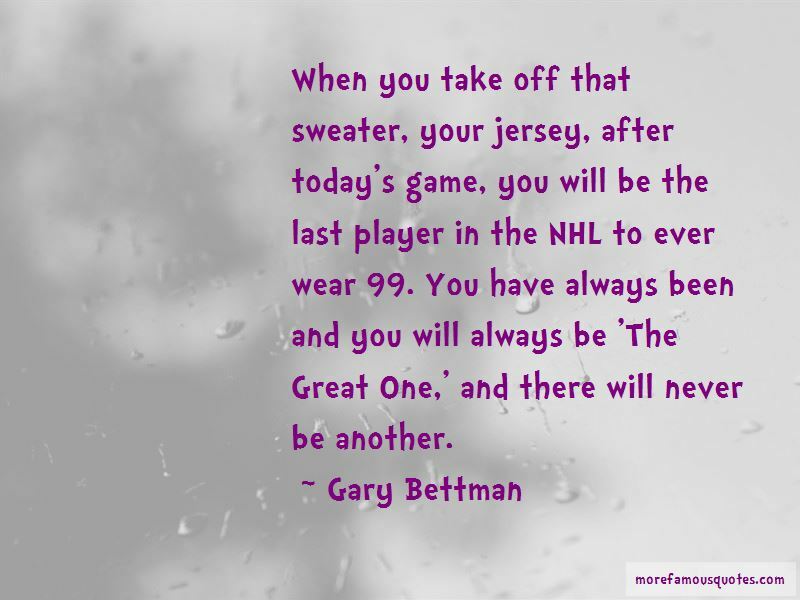 When you take off that sweater, your jersey, after today's game, you will be the last player in the NHL to ever wear 99. You have always been and you will always be 'The Great One,' and there will never be another. This is a sad, regrettable day that all of us wish could have been avoided. This is a tragedy for the players. Their careers are short and this is money and opportunity they'll never get back. 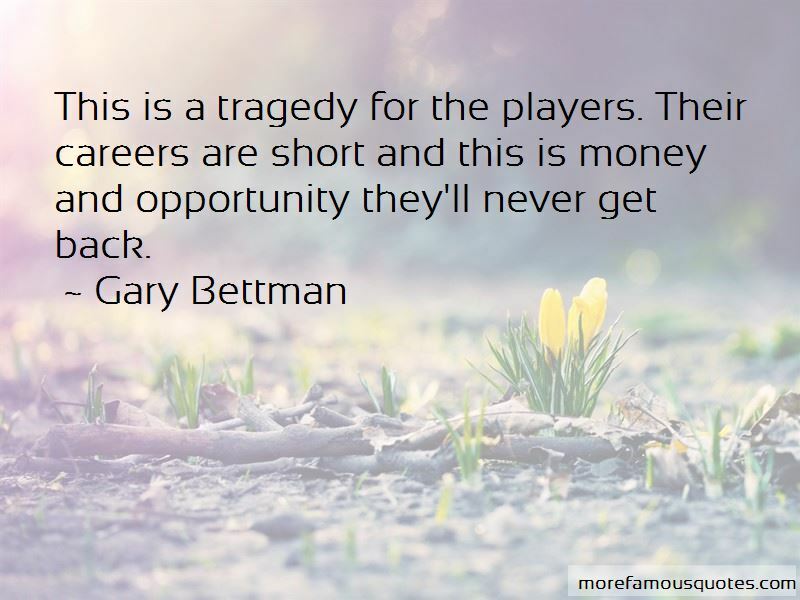 Want to see more pictures of Gary Bettman quotes? 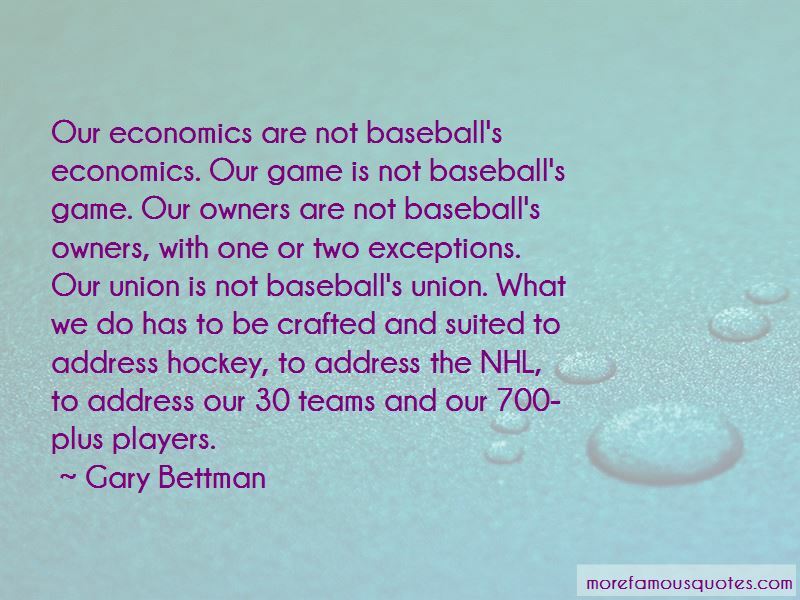 Click on image of Gary Bettman quotes to view full size.